The training collar is fully adjustable, it gently corrects your dog when pulling, and has reflective stitching for added safety in low lighting; there are multiple patterns available to choose from, matching leashes are sold separately, please visit our amazon store to view all selection. All our collars and leashes are proudly made in Canada. Limited slip corrects dogs in a gentle manner and the side buckle provides an easy on/off solution. 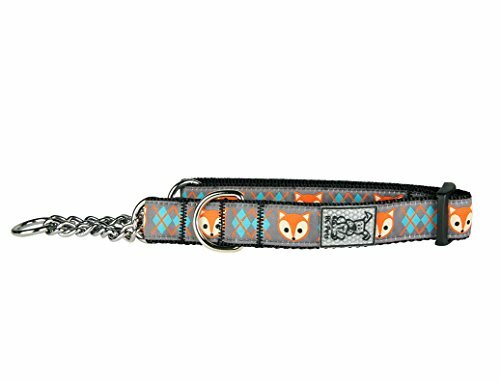 The collar is made from soft quality webbing with a nickel plated D ring.